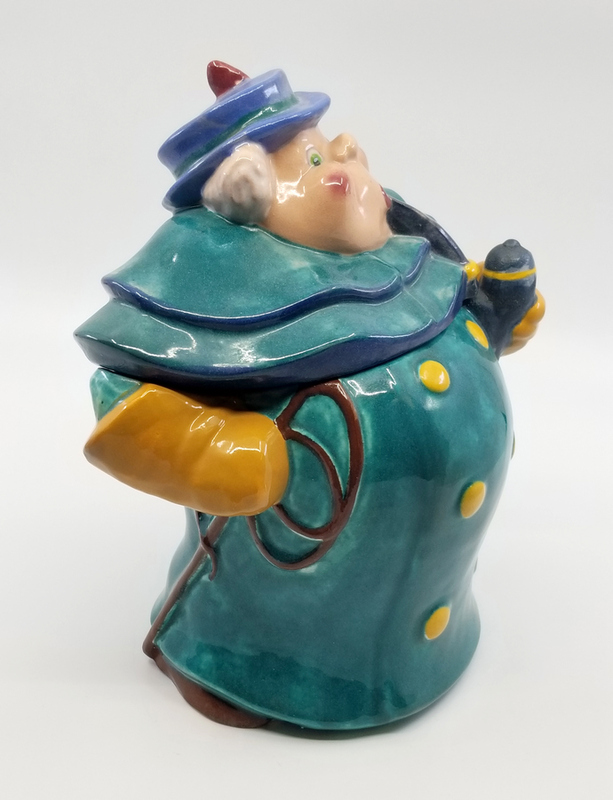 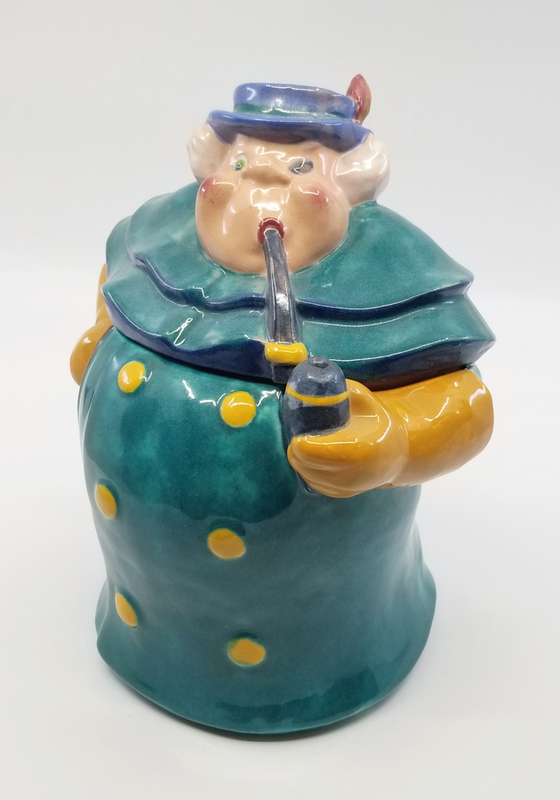 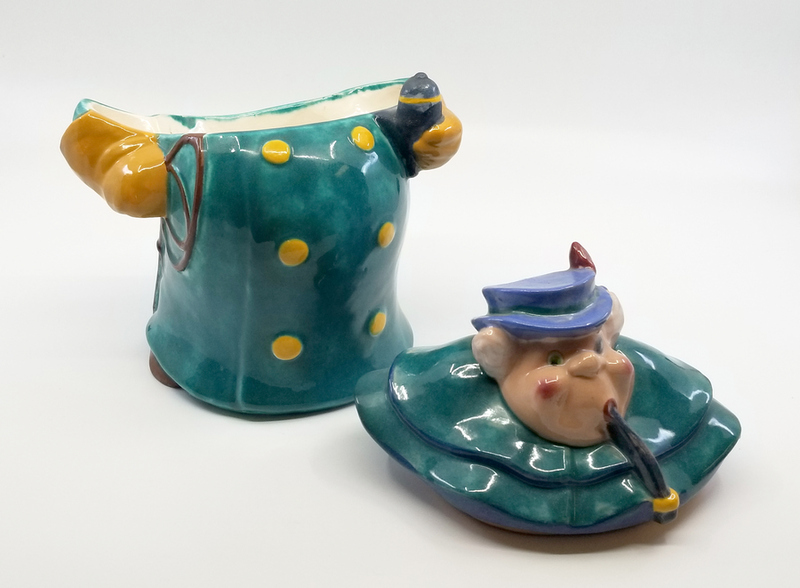 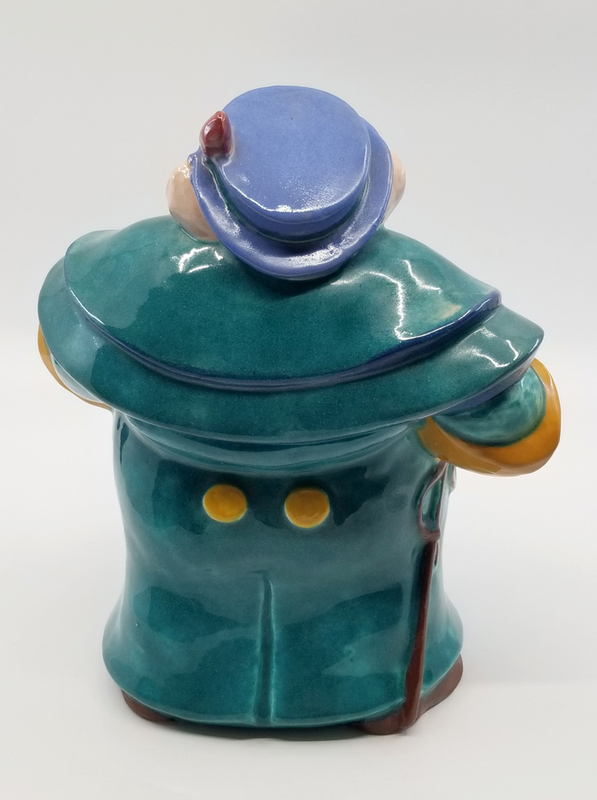 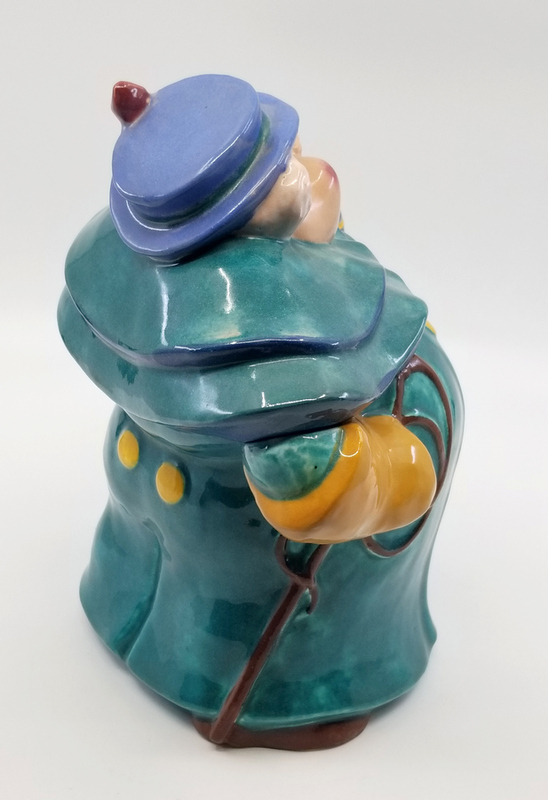 8.75" x 8" x 6"
This is a very rare ceramic cookie jar depicting the coachman from the classic Walt Disney feature, Pinocchio. 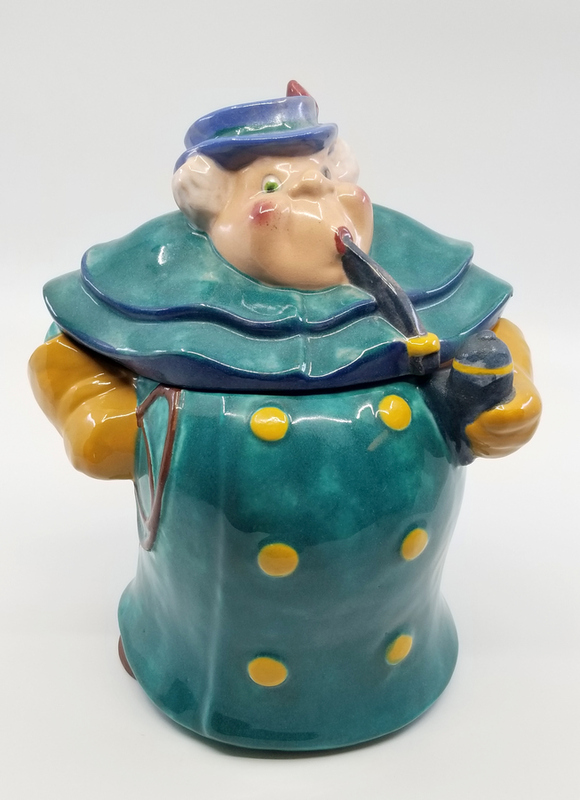 This cookie jar was made by Brayton Laguna Pottery in 1939, in conjunction with the film's original release. 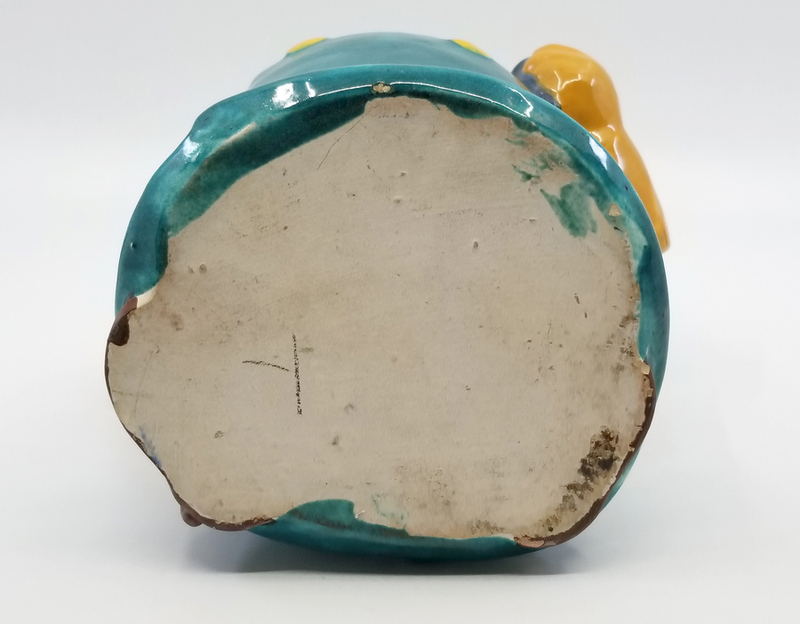 The pottery company only held the production license for roughly six months, so this cookie jar was not in production for a very long time at all. 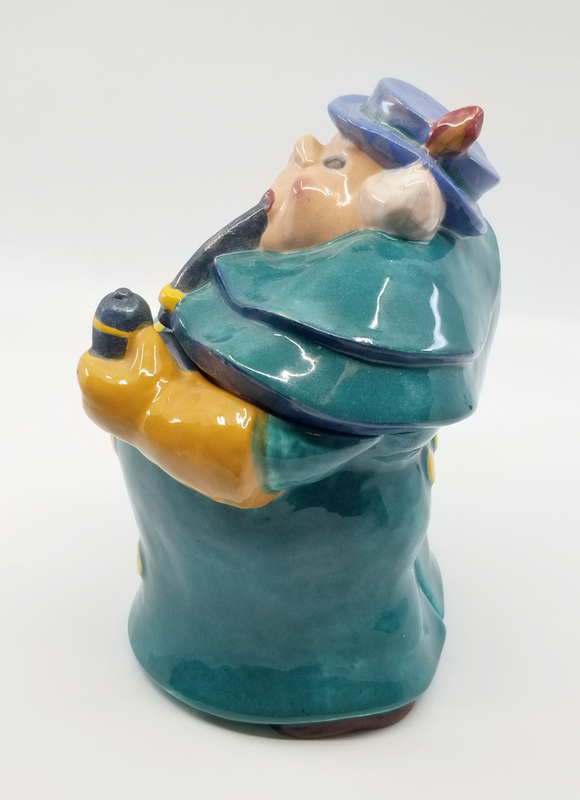 The jar measures 8.75" x 8" x 6" and is in very good condition.